The search for new technology always starts with a big question: Where do you want it to take you? As you evaluate Applicant Tracking Systems, set aside your immediate recruiting challenges and think about your company’s long-term goals. Wherever you want to go, you’ll need great hires to get there. And the right ATS can help you rethink your approach to recruiting. 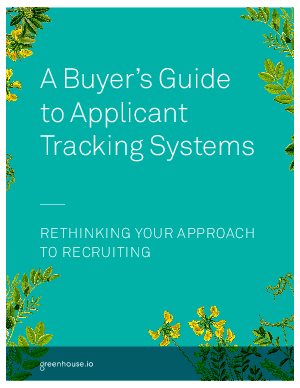 Download A Buyer’s Guide to Applicant Tracking Systems to learn the 6 steps to take when assessing new talent acquisition technologies.